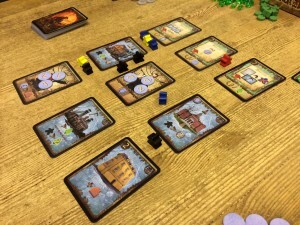 Spyrium is a eurogame with an interesting worker placement game mechanic. 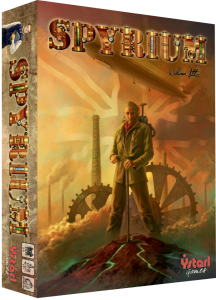 It is designed by the creator of Caylus and Caylus Magna Carta (the latter being one of my favourite games) so I was keen to try it out. 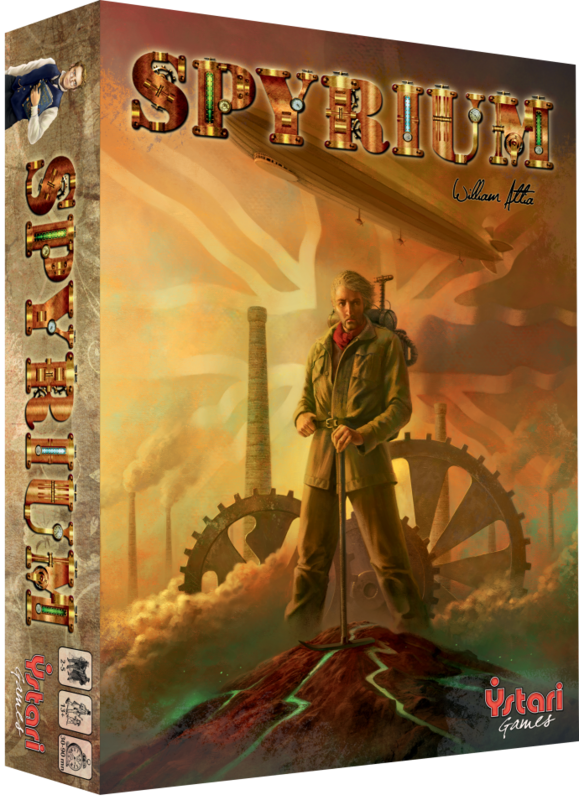 The game has a steampunk-ish setting and players are each head of an industrial conglomerate in Victorian England and spyrium is a mineral high in energy. The player who scores the most victory points (VPs) by the end of the game wins. Each round 9 cards are drawn from the deck and laid out in a 3×3 grid – I’ll call this ‘the grid’ from now on. Players take turns either placing a worker or activating a worker; however, once a player starts activating their workers, they can’t return to placing workers during the current round. As a result, you have to choose carefully when to switch from placing to activating.